Warm salad recipe with brussel sprouts and green cabbage. Super simple dressing recipe included. 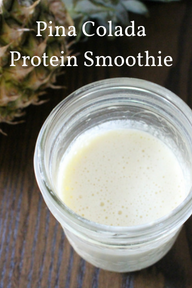 Sometimes a smoothie is a nice refreshing way to get in a meal or a snack in between meals. I am all over the smoothie train especially in the warmer months. If you follow along on Instagram you'll know I'm totally into studying Ayurveda. It's basically a very old traditional Indian style of medicine, using herbs and food and oils and practices to heal. I've been studying holistic nutrition methods for years as well. One of the big things I noticed as a cross over between the two is that they are both big on anti-inflammatories AND they both love ginger and tumeric as a key anti-inflammatory. I've been playing around with making Chai and even this yummy Digestive Tea for a long time, and I stepped up the game with this yummy Tumeric Mylk Recipe. Why "Mylk"? Well because its just a way of identifying that is milk from a non animal source. I used coconut milk, but almond milk, soy milk or even regular milk would work here. Additionally, don't worry about the spices being fresh or already ground in your cupboard. I like to have the whole spice and grind them myself, it's like a little ritual for me. 1 cup of chosen milk or mylk. Put everything into a pot and let simmer 5-8 minutes. Strain in to a mug with a fine mesh strainer. Seriously it is THAT simple. Don't get me wrong I LOVE indulging in the Holiday yumminess, but I like to balance it out with some of the healthier things too. So I thought I would put together some of my Organic Box ingredients for a lovely Rosemary Goat Cheese Quiche. I love quiches because they are relatively easy to make and are a pretty balanced meal nutritionally. The eggs give it a great source of protein, cheese adding healthy fats, pis crust for energy from the carbohydrates and of course you get your veggies thrown in too! They taste delicious fresh from the oven or the next day cold or warmed up! Perfect for Holiday potluck parties or lunch for work! 2 pie crusts. I buy them premade but you can also make them yourself! Preheat he oven to 350 degrees. Pre bake the pie shells for 5-8 minutes. This helps the bottom be crispy under the egg mixture. Turn on a pan to medium heat with olive oil. saute onions and garlic until onions are soft. Chop up rosemary, spinach and tomato. Toss veggies, eggs, onion and garlic into a bowl. Mix really well. Add egg mixture into two pie shells. Add crumbled goat cheese into the pies. Bake 30-35 minutes. You may need longer, a good way to tell is the center doesn't jiggle when moved a bit and there is some browning on top. TIP: If you want to take down the fat content a bit you can replace half the eggs with egg whites! for every egg replaced, use to egg whites. Also get $20 off your first order at The Organic Box using the code "OrganicBunch20"
"Cheesy" vegan kale chips are one of my favourite snacks. I hate paying $7 for a small bag though. So I turned my Organic Box kale order into these delicious chips with my dehydrator. High in calcium, magnesium and vitamin k for strong bones. 1 up has more then 70% of the daily recommended dose of vitamin. Firstly before we move on with the recipe, I want to point out that I used a dehydrator but I ALSO used the dehydrator function on my oven, since I had LOTS of kale. Which is basically just having your oven set to about 160 degrees Fahrenheit. I found it took long in the oven then the dehydrator, but I got the same taste and texture. Additionally, I want to point out that this is recipe that needs a bit of planning since the cashews should be soaked in water overnight. I have found this method for "soaking" them quickly by boiling them, but it still can take an extra 10-20 minutes. Sooooo back to the recipe. Bunch (or two or three) of kale. Washed with the stems removed. My oldest daughter helping me with washing the kale. Salad spinners are awesome to use because I don't really have to pat them dry after. Wash. dry and remove the stems from the kale. Take remaining ingredients and blend together in a food processor until creamy. Mix the creamy mixture in with the kale. Rub the mixture onto the kale by hand. Lay on the dehydrator trays or on sheets for in the oven. Takes anywhere from 3-7 hours depending on your device. Check them every once and a while to get the texture you like. Some people like the still slightly wet texture that makes them a bit more dense. I like them crunchy just like a chip! Thanks to The Organic Box for providing the delicious ingredients. Make sure to get $20 off your first order from The Organic Box over $55 using the code ORGANICBUNCH20. Fresh organic food delivered right to your door and you can grocery shop from your phone in your pajamas! Most broccoli salad recipes I noticed had mayo, which I am personally not a huge fan off so I swapped the mayo out for avocado and I think it turned out pretty yummy, AND healthy. The lime adds a bit of zing to the flavor but the citric acid in it also helps keep the avocado from going brown, especially since the longer this is left the softer the broccoli becomes and personally I like better. As I write out the ingredients I realize it's actually like quacamole with broccoli and I wonder why I've never thought of that before! Finely chop the broccoli down. I used just the head and kept the stems out mostly. Chop onions and tomato and add to the bowl. In a separate bowl add avocado, lime, garlic powder and salt and pepper. Mix the avocado mixture in with the broccoli, tomato and onion. I like allowing a bit of rest time to let the broccoli soften but it can be eaten right away as well. Get $20 off your first order of $50 or more from The Organic Box using the code ORGANICBUNCH20. I mostly eat Kale in raw form in a salad, but I might have left it in the fridge a tad too long and it lost some of it's crispiness, so I thought I would cook it up. Since I didn't leave it to cook to long, it still have some texture to it, because I HATE soggy greens! Bundle of kale. I get mine organic from The Organic Box. Heat the oil in a pan on medium. Rough chop the kale, leaving the stems in. Leaving the stems in will add more crunchiness if you like more texture like me. Toss the kale and garlic into pan and mix around to get well coated with the olive oil. I may have also added a touch more oil then the 2 tbsp listed above. Cook until warm but still slightly crunchy. Each type of kale will take a different amount of time, also depending on the texture you like. Here I have dinosaur kale (also known as black kale). The last minute of cooking add the chili pepper flakes. Of course adding to the heat you like. Remember with chili flakes a little can go a long way! Add salt and pepper to tasting and remove from the pan. Top with Parmesan cheese and serve and eat right away. One cup of kale has 70% of the recommended daily intake of vitamin C! High in chlorophyll, carotenes, beta-carotene, lutein and zeaxanthin. What The F%$# Is A Fiddlehead? I must be honest here, I haven't even heard of fiddleheads until this year. I just saw everyone asking about them and saw them on The Organic Box when I was making more order and thought I would check them out. A quick little bit of research lead me to find out they grow naturally in Canada. They are mostly found in Eastern Canada, hence why it seemed like all my friends originally from the east coast where the ones posting about them! My mother's side of the family is from Ontario and Prince Edwards Island so my mom helped me figure them out a bit. If you google them quickly however, you may come across a few articles telling you to be careful cooking them because they can make you sick. Apparently you need to cook them thoroughly to cook off the toxins they have in them. Boiling for 15-20 minutes is needed before cooking them any further. (My mom suggested butter in a pan). Soooooo... after I boiled them for actually like 25 minutes and cooked them in butter I was ready to try them. I was a bit scared. But I figured hey, they have to be pretty yummy in order to risk getting food poisoning right? Sooooo that's what the F$#% A Fiddlehead is. Happy Cinco De Mayo! The tradition behind Cinco De Mayo is actually around Mexico beating out the French in a war in the 1860's, but mostly in today's time we are celebrating the unity of cultures from Mexico and America. Like for example the fact that we all know and LOVE salsa amaright? I got my Organic Box yesterday and the tomatoes and red onions were begging me to make a salsa with them! I've got a tad bit of a twist to my salsa to bump up nutrition too! Chop up onion, tomato and jalapeno finely. I know some people like to use the food processor or knife for chunkier. I actually have a Tupperware chopper that makes it half chunky and half mushy. Knife cut bell peppers and add in. Squeeze in half a lime. Add cilantro, salt and pepper to taste. PS Check out my Guacamole recipe on the new Alberta Mamas blog! These Kale chips are nutritious and more importantly satisfyingly delicious. Last week in my Organic Box order I got some curly kale. I LOVE kale. Sadly I forgot about it in one of my crisp drawers (because my whole fridge was FULL of awesome fruits and veggies!). When you leave kale a bit to long it starts to turn a tad bitter and gets a slight yellow colour. Usually people throw it away, but before you do this make this kale chips. You wont regret it. You can leave the spice out if it's not your thing or add more so tiny little hands wont want any. Muah ha ha ha. Kale is rich in beta-cerotene, Vitamin C, K an folate. Kale is also easily absorbed, has antioxidants and has anti-inflammatory properties. It helps lower cholesterol, balance hormones and stimulate digestion. Nutritional yeast is vegan option for a cheesey and nutty flavour, packed with nutritional goodness including B12, which is good for stress management. It can be found at bulk stores and some grocery stores and health food stores. If you dont have it use garlic powder instead for some flavour! Remove the hard stems and rough chop the kale. Toss kale in the olive oil, yeast, flakes and salt. Spread out on a sheet/cookie pan. Bake for 10-20 minutes. Time really varies on how you like your kale chips. I like mine in between crunch and a tad wet so I leave them about 12 minutes. Check them regularly. 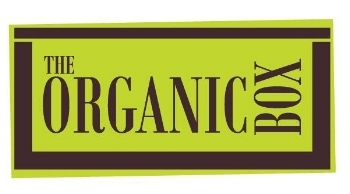 Get $20 off your Organic Box Order (when you buy Kale right?) using the code ORGANICBUNCH20 ! Happy Easter! This weekend of course we made the obligatory Easter eggs and as usual I make quiche afterwards. When I was growing up we didn't hard boil the eggs. My mom would poke holes in the top and bottom and we would blow the yolks and white into a bowl. I'm assuming because my mom didn't want to waste the eggs. And rightly so. I hate wasting food so I do this as well and use the eggs for dinner! I happened to have some pre made frozen crusts in the freezer I use but if you feel ambitious (or have special dietary needs) you can make your own! Place the crust in the oven for 5 minutes to prebake. Mix eggs, broccoli, onion, tomato, salt, pepper and half of the cheese into a bowl. Mixing well. Put the mixture into the crust and use the rest of the cheese to cover the top. Bake for 35-45 minutes in the oven. Super easy! Especially if you use the pre made pie shells! Organic Box poatatoe recipe. Use code OrganicBunch20 to get $20 off your first order. I like trying to make homemade granola and snack bars, but sometimes all the sugar (even honey) poured into them concerns me. And of course a lot of the store bought ones have it too. I like these for having lower sugar and its that perfect blend of sweet and salty , chewy and crunchy. I've been testing out this new product called VitaFiber a higher fiber, low calorie natural sweetner in a syrup form. It keeps the sweetness but without all the sugar. They sent me a recipe to try for their Apricot Almond bars, and of course, me being me I made them with a little "bitchin'" flare. (Ok most of the change was adding chocolate.) Who doesn't like chocolate though? Toast almonds and coconut flakes at 350 degrees for 5-10 minutes. Chop up almonds and apricots. 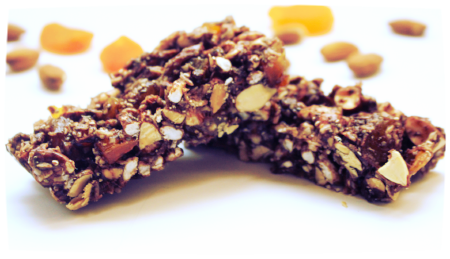 Add almonds, apricots, coconut, puffed rice, flaxseed, chocolate and chia seeds into a bowl. Add VitaFiber syrup to the fruit and nut mixture. Mix well. Add mixture to a lightly sprayed 9x9 dish. Let set up for 15 minutes in the fridge. Take cooled mixture out of the pan and cut into 12 bars. Super simple way to take healthy ingredient and turn it into something yummy! Slice the potatoes thin. I used my mandolin for even cuts. Coat in olive oil and a bit of salt. Roast for 30 minutes or until desired crunch I like mine crunchy so left them a bit longer. Top with a tad more salt! I haven't been feeling 100% the last two days and food is no friend of mine, but smoothies are easy to make and drink. I made this one without any protein powder because I needed something more light and refreshing then thick and creamy. Feel free to add protein powder to this one, vanilla or plain would be wonderful! Super simple and so good for you! Last week I had my laparoscopy surgery for my Endometriosis and I was smart enough to have a SPUD.ca order delivered the next day so I would have fresh food without having to go to the grocery store. I though it would be important to have healthy and nutritious foods afterwards for healing. Anyways, for lunch I was just cravings something a bit sweet and tangy and crunchy so I threw together this amazing slaw, that I think get's tastier as leftovers too! Cut all the veggies into strip pieces about the same width. I find this taste a bit better after its been sitting for a bit too, so you can totally make it ahead of time! We had some warmer whether here in Edmonton last week and now I'm on spring mode! Check out my smoothie from this morning. I'm all about the ginger kick lately! It's said that the mix of ginger, cardamom, cinnamon and coriander are a powerful digestion stimulator. Although I kept the corainder out of the smoothie (that I think would be too weird...) this smoothie has antioxidants, digestive aids and healthy fats great for hormone function. Paleo, Keto whatever your eating style that calls for high fats, you NEED this recipe my friends. I'm currently have upped my good fats for medical reasons and let me tell you... I am not suffering much while these around! These are SOOOOO simple and quick to make too. Literally just melt the oil and mix everything together. I had cute little flower molds so I put them into there, but you can buy chocolate molds if you would like or pour into a dish and cut into squares after. Let chill for 20-30 minutes. Cut or take out of the molds and enjoy. TIP* Keep refrigerated so they don't melt on the counter. A fair sized chocolate to enjoy.